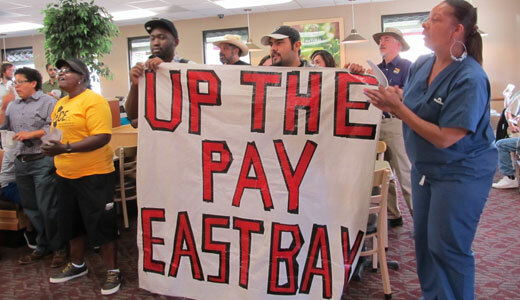 OAKLAND, Calif. – As two new reports were released showing the far-reaching consequences of their poverty wages, fast food workers and their supporters packed a Wendy’s restaurant here Oct. 15, demanding a living wage and labor rights. Their lunch-hour protest was among many across the country. Similar actions in recent months included a national day of action Aug. 29. Some workers have faced employer retaliation for their organizing efforts. The two reports show that over half the nation’s fast food workers are eligible for public assistance costing taxpayers some $7 billion a year, while corporations like McDonalds, Wendy’s, and Burger King scoop up billions in profits. As they waited for a local Wendy’s manager to fax their letter summarizing those findings to company headquarters, protesters whipped out their cell phones, trying to reach executives with their message. Some said they got through; many did not. Meanwhile, the crowd heard from McDonald’s worker Judith Zarate, who said she’s worked for the nation’s biggest fast food purveyor for a decade. She now earns $9.10 an hour, with no benefits – up from her starting wage of less than $7. Zarate has three children, ages 2, 7 and 10 years. She said when she works 40 hours as week, her income and that of her husband can’t meet the family’s needs, forcing them to rely on WIC and SNAP food programs, and Medi-Cal. Reassembling outside in the parking lot, protesters heard from local elected officials. Fast food restaurants need to thrive and businesses need to grow, he said, to provide jobs in the community, but it is essential to end a situation where taxpayers are subsidizing fast food mega-corporations making mega-profits. 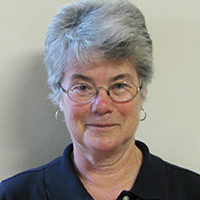 State Assemblymember Nancy Skinner noted that wages typically ranging between $10,000 and $18,000 per year make most fast food workers eligible for California’s newly expanded MediCal (Medicaid) program.